Hand cutting fish at the Asian Market street. Man prepare the fish for sale at the wet market. Hands cutting fish fillet with knife at Wet market. 4K video, Philippines. 4k00:07Hand cutting fish at the Asian Market street. Man prepare the fish for sale at the wet market. 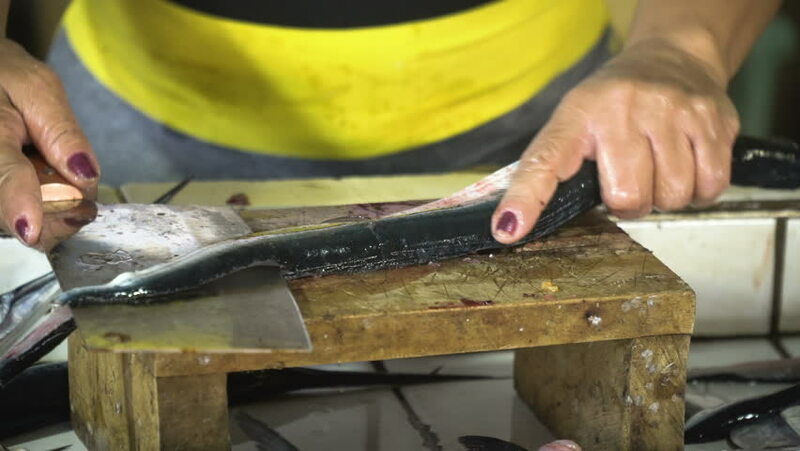 Hands cutting fish fillet with knife at Wet market. 4K video, Philippines. 4k00:15Washing dishes. Women's hands wash the dishes. hd00:15Cooking food on a campfire in forest.Camp life.Traveling.